1. Cook once, eat twice . This is one of the biggest time savers new cooks can learn. If you make a pot of chili on a night you have more time, (or make it in a slow cooker), freeze it in meal-sized portions for you to pull out when you have very little time to cook. Thaw it in the morning, or put it in the microwave when you get home. That is homemade fast food. There are lots of foods you can do this with like rice and meatballs. If you buy a package of chicken breasts but will only eat one of them, cook the rest as well. 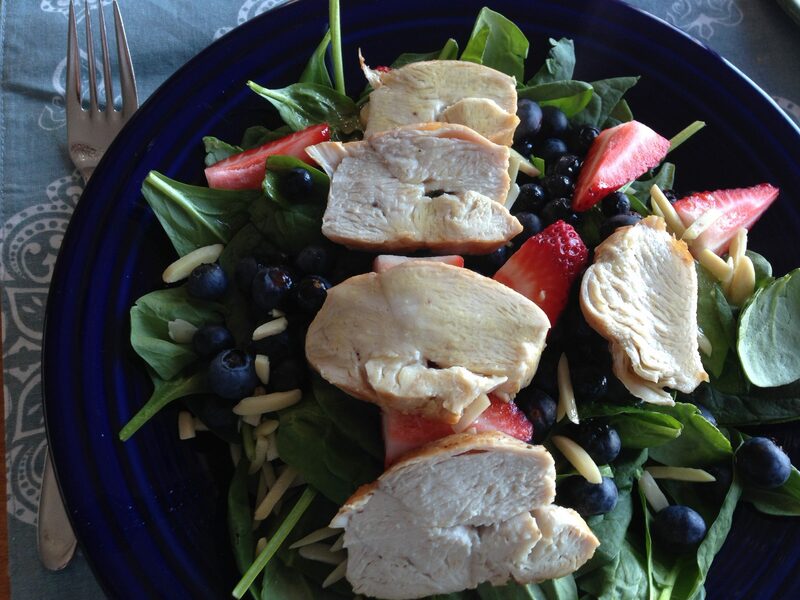 There are lots of quick things you can do with cooked chicken – the salad below being one of the fastest. 2. After a grocery run, use the most perishable food first! This means things like lettuce, spinach, and soft fruits like berries. These tend to be the more expensive fresh things, so you really want to make sure they don’t end up mouldy in the back of your fridge. Later in the week, you can pull things from the freezer or the pantry to make your meals. Those things will last until you want them. Keep a few non-perishable salad toppings such as dried cranberries, nuts, and seeds in your pantry so that you can add some life to greens when you are out of other fresh things. If have veggies that are starting to look wilted, put the remnants in an omelette or soup. Omelettes and soups make use of all manner of leftover ingredients. Most experienced cooks do some form of this in their heads, but for new cooks, it is helpful to see the process on paper. You don’t have to plan a meal specifically for Monday, Tuesday etc, but know what you are going to make with the food you buy, and in what order it should be consumed to make sure it doesn’t go to waste. Friends call, plans change etc, so you want something flexible. 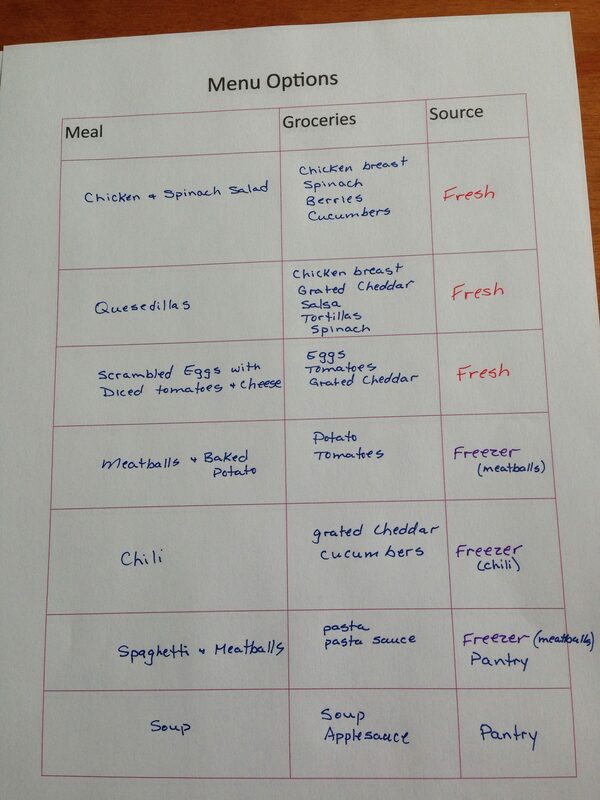 You don’t have to make all the meals on the chart in a week, it is just a list of your options so when your brain is tired, you have your own “menu” to peruse. I made this chart for my youngest and she used it a couple weeks until she had the process in her head. 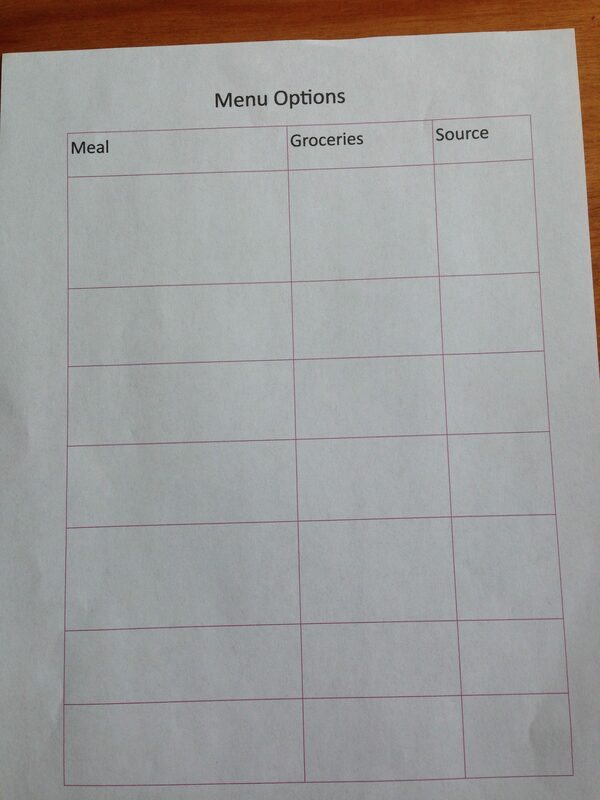 It is just a visual tool to help think about meal planning. By starting with the fresh foods, if you end up going out with friends Saturday and Sunday, the food that doesn’t get eaten are the things in the pantry that will wait for next week or next month. My daughter lived in residence at uni and had a microwave and hot plate as her only cooking appliances. In the example below then, the baked potato was done in the microwave, and the frozen things were made on previous weekends. 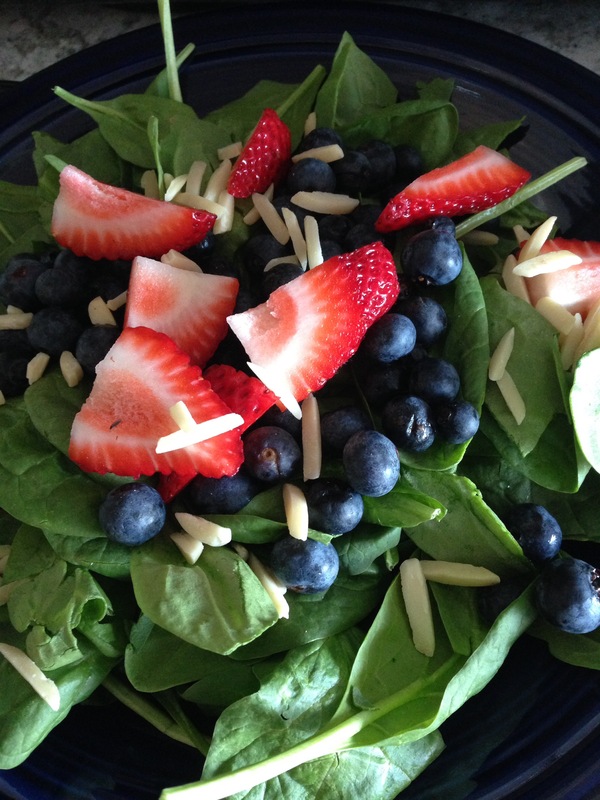 In this week’s fresh food, she bought chicken, potatoes, and tomatoes and cucumbers which she ate as fresh sides, and strawberries and blueberries for salad and snacks. You can easily change the menu to whichever foods you like. If you make bacon-wrapped chicken, you can add bacon to your scrambled egg meal as well, or crumble some over your baked potato. The point is to find multiple uses for the food you buy in any given week so you can use it up. I have included a blank one in case you want to use it. Mix the juice, honey and olive oil until combined. Pour over the salad. For a vegetarian version, add more almonds and eliminate the chicken. J > Raising the perceived value of home-cooked food is key to a wider transition from consumerism to ‘producerism’ and a healthier and more prosperous and more content world.